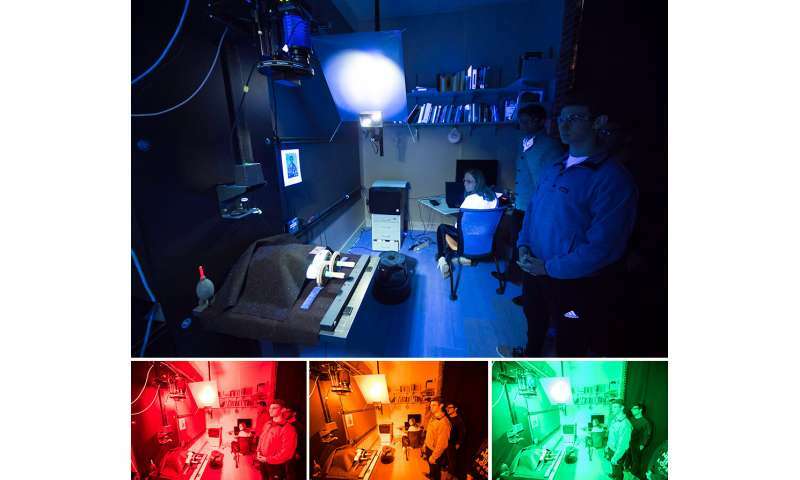 Under the lights and the lens of a multispectral imaging system is a Torah scroll, probably dating to around 1900. Torah scrolls are long rolls of parchment, each suspended between two wooden rollers and containing the handwritten Hebrew text of the Torah. 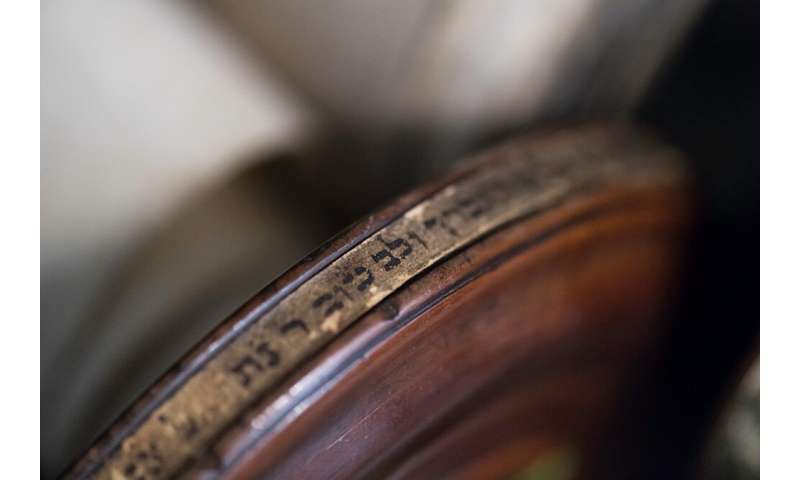 Now entrusted to the congregation of the Temple Society of Concord in Syracuse, New York, the scroll once belonged to a European congregation—until the Holocaust. After Nazi forces invaded Bohemia and Moravia in 1939, German authorities ordered the region's Jewish congregations to surrender their religious books, liturgical objects, and records. More than 200,000 items were held in Prague's Jewish Museum, including almost 1,800 Torah scrolls. 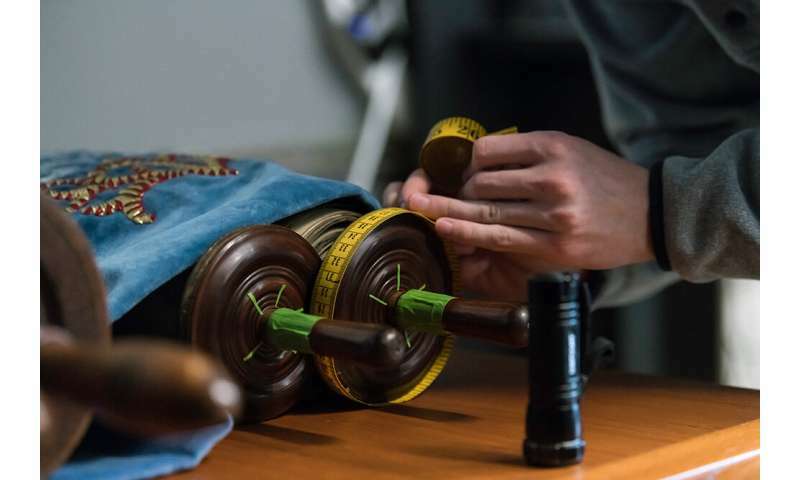 In the 1960s, the organization Memorial Scrolls Trust was established in London; it began to purchase the scrolls, documenting them and repairing them, and then placing them with Jewish congregations around the world, creating a sacred, tangible link between them and congregations lost to the Holocaust. In 1965, Carol Holstein Killian ('70) and her father traveled to London; at the request of their rabbi, they visited the trust and ultimately arranged for the placement of a Torah scroll with their congregation, Temple Concord. The scroll is on permanent loan from the trust and is used by Temple Concord for selected services. Known as MST#149, it came from a synagogue in Pardubice, a town east of Prague, in what was then Czechoslovakia. Last fall, Killian and her husband, Ronald Killian ('70), visited Temple Concord to view the scrolls. 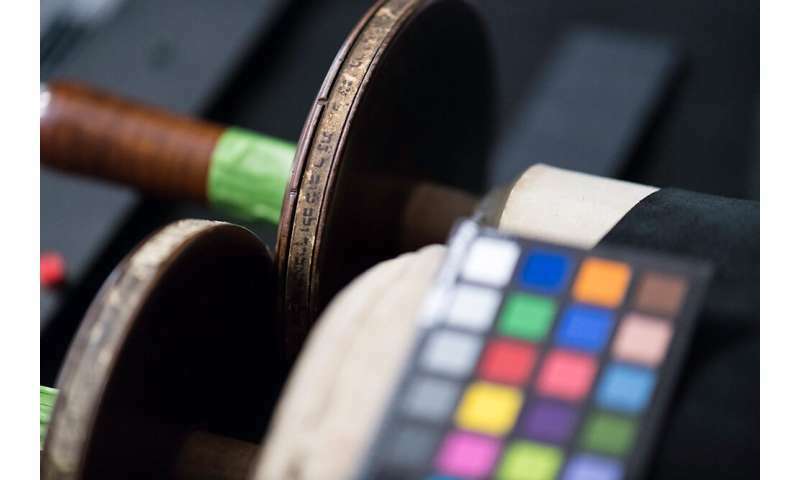 They inspected the inscriptions written on thin strips of paper around the edges of the rollers—but time and handling had blurred and obscured some of the text. Killian contacted Gregory Heyworth, an associate professor of English, to see if the Lazarus Project could help. 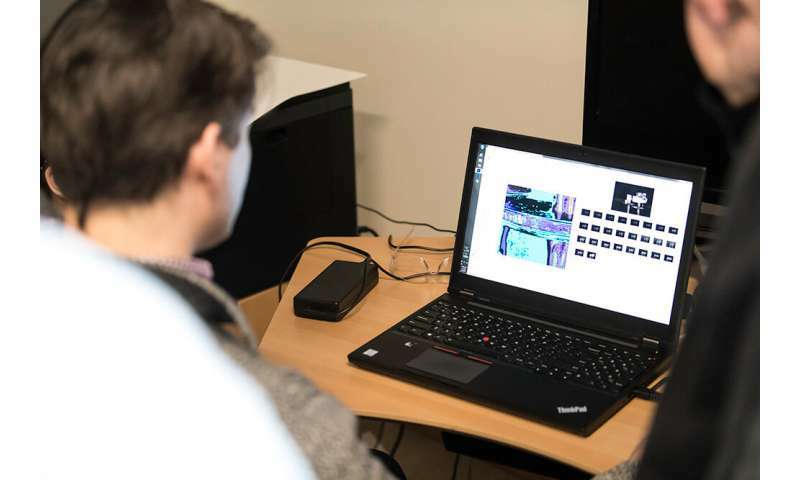 Heyworth calls his research specialty "textual science," and the multi-spectral imaging group he established—the Lazarus Project, a not-for-profit organization—use different wavelengths of light to photograph and analyze cultural artifacts, using digital imagery to salvage objects whose legibility would otherwise be lost to time. 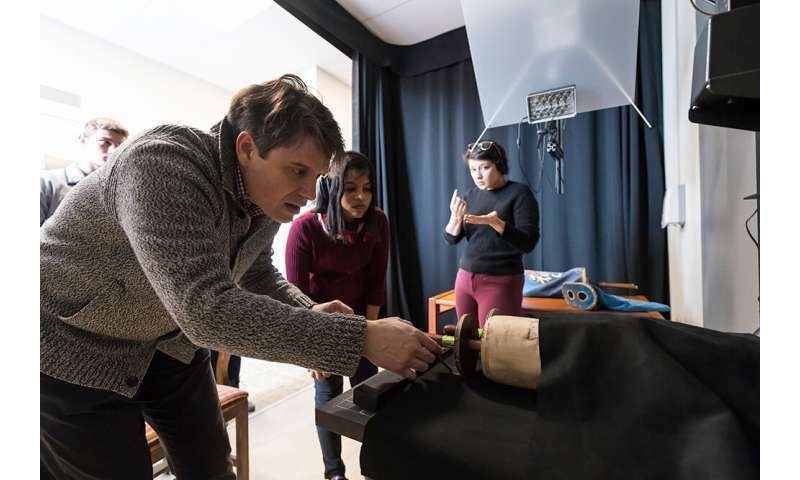 This March, Killian brought two scrolls—MST#149 and a similar one also held by Temple Concord, its first congregation unknown—to Heyworth's imaging lab in Rush Rhees Library, to see what could be discovered about the scrolls' origins.